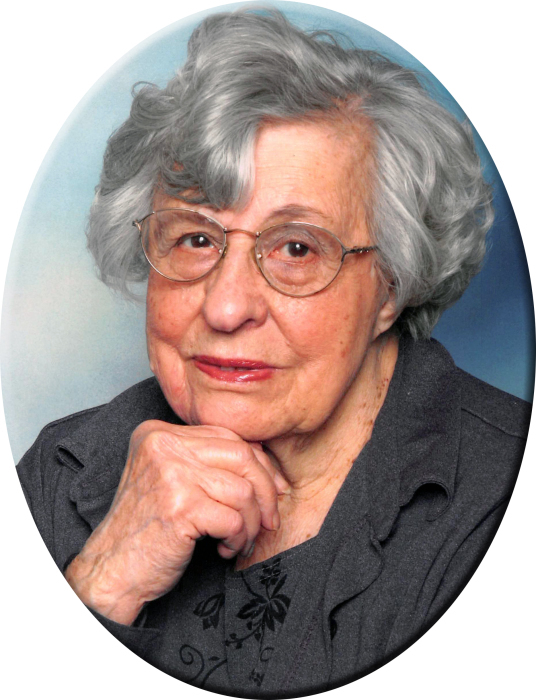 Mildred Frances Andrews, 99, of Burlington, died at 1:58 PM Wednesday, November 28, 2018, at the Great River Klein Center in West Burlington. Born April 21, 1919, in Dallas City, IL, she was the daughter of Elias Thomas and Mary May Barrett Sly. On May 2, 1942, she married John Fredrick Andrews in Kahoka, MO. He died on November 25, 1992. She was a member of the Faith United Presbyterian Church and the Burlington Police Auxiliary Association. Mildred enjoyed quilting, baking, cooking, playing bingo and word search puzzles. Survivors include her daughter, Susan Gavin of Washington, IA; three sons, John William (Kim) Andrews of Burlington, Charles Thomas (Diane) Andrews of Bakersfield, CA, Donald Edward Andrews of Burlington; 19 grandchildren and several great-grandchildren and great-great-grandchildren. Besides her husband, she was preceded in death by her parents, four daughters and five sisters. Visitation will be from noon until 7:00 PM. The family will receive friends from 5:00 PM until 7:00 PM Wednesday, December 5, 2018 at Prugh's Chapel, 317 North 4th Street, Burlington. The funeral service for Mildred will be 11:00 AM Thursday, December 6, 2018 at Prugh's Chapel, with Pastor Dean Graber officiating. Mildred will be buried with her daughter, Linda Blankenship, in Burlington Memorial Park Cemetery.